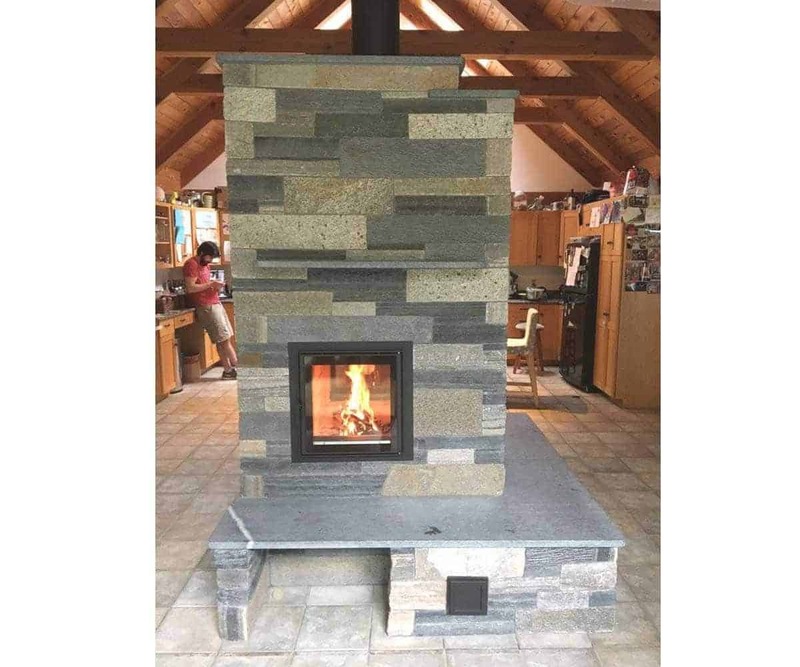 Masonry heaters are wood burning stoves designed to deliver 8-12 hours of comfortable radiant heat from a single firing. Their considerable mass allows them to absorb, rather than immediately release, the energy of extremely hot fires, thus maximizing energy extraction and minimizing emissions. 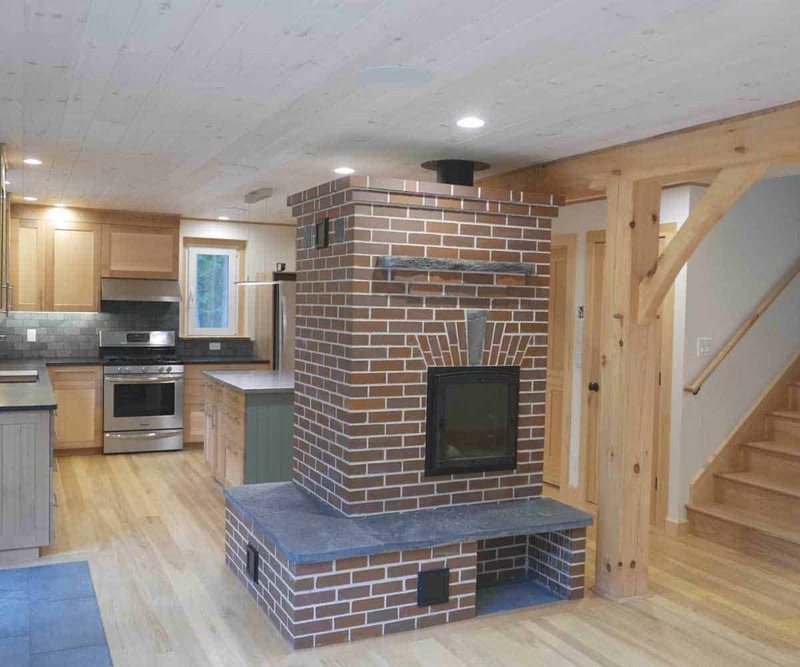 Each stove is designed to fit the client’s space, and can include such features as a baking oven or heated bench. 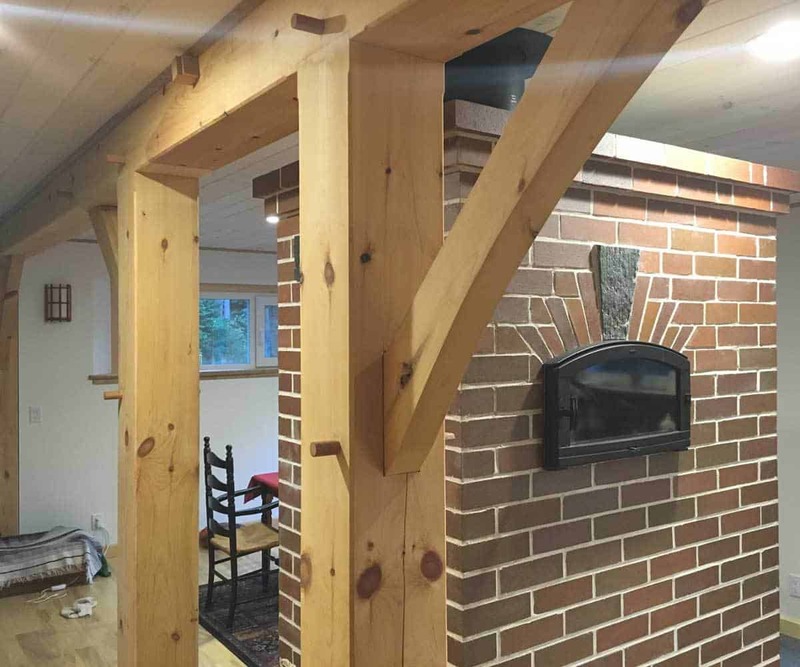 A masonry heater is a wood-burning stove designed to burn a large amount of wood very quickly, store the resultant heat in a mass of brick or stone, and slowly release that heat over the course of 12-18 hours. They are sometimes called russian fireplaces, kachelofen (tile stoves), masonry stoves, mass stoves, and many other names. Masonry heaters generate radiant heat, gently warming people and surfaces in the room while minimizing uncomfortable drafts and movement of irritating particles such as dust. 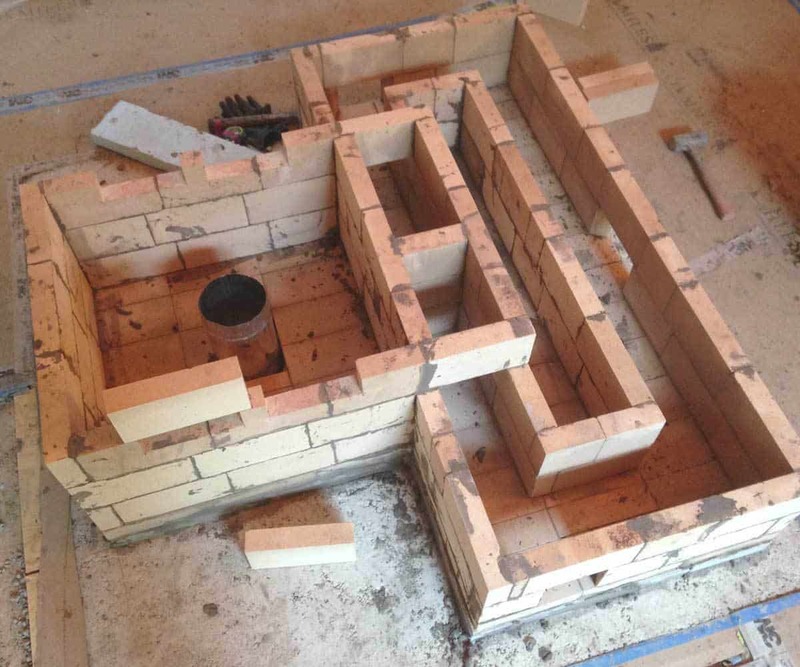 Internally, a masonry heater resembles a labyrinth. The path between the firebox, where the wood burns, and the final chimney exit consists of channels that force the hot gases up, down, and around in order to “harvest” the heat and store it in the bricks which form these channels. We can visualize this “harvest” of heat by noting that chimney temperatures are several hundreds of degrees lower than the temperatures in the firebox. Masonry heaters have been in use for hundreds of years in Europe and Asia and all types are designed with two goals in mind: 1) to generate the greatest amount of energy from a given amount of wood via hot, turbulent combustion 2) to store and transfer to the room the greatest percentage of the generated energy. 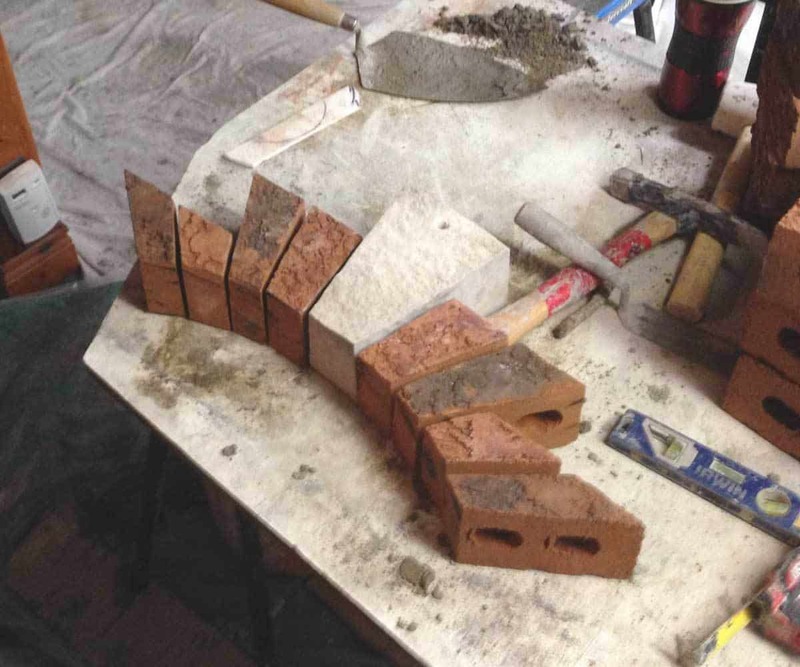 As a result of this design framework, masonry heaters are the most efficient way to heat with cordwood. If properly sized to your home’s heating requirements, you only need to load the stove once or twice per day. From an environmental perspective, they are extremely clean due to a design that favors high temperature, oxygen rich combustion. If used properly and fired with dry wood, you will see no smoke from the chimney and no creosote in the stove’s channels or chimney. Softwoods and hardwoods can be burned alike, and the risk of chimney fires is all but eliminated in normal operation because thorough combustion produces no creosote. 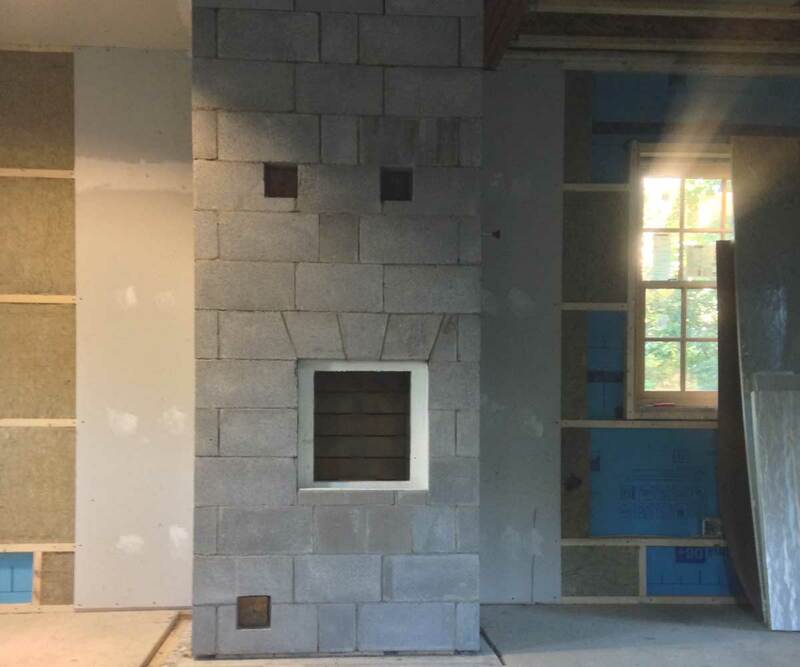 In lab testing, masonry heater emissions have been shown to be lower, in particulate matter and carbon monoxide, than the majority of woodstoves, boilers, and even pellet stoves. Consider that this high performance is achieved with no electricity and uses plain old cordwood, not industrially produced wood products. If you harvest your own wood your heating “program” can be nearly carbon-neutral, depending on the amount of fossil fuels used to cut and transport the wood. 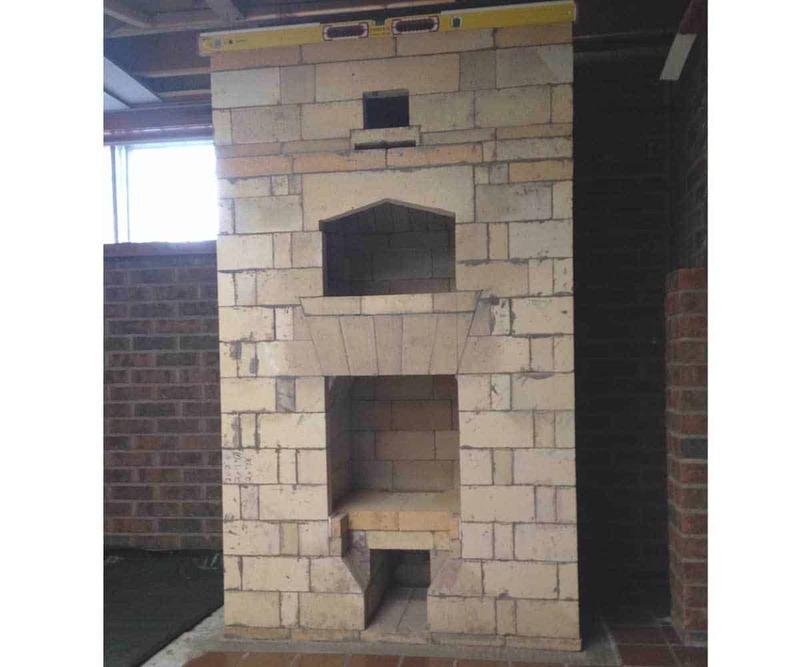 Masonry heaters are also safer than other wood burning stoves, because surface temperatures are relatively low. 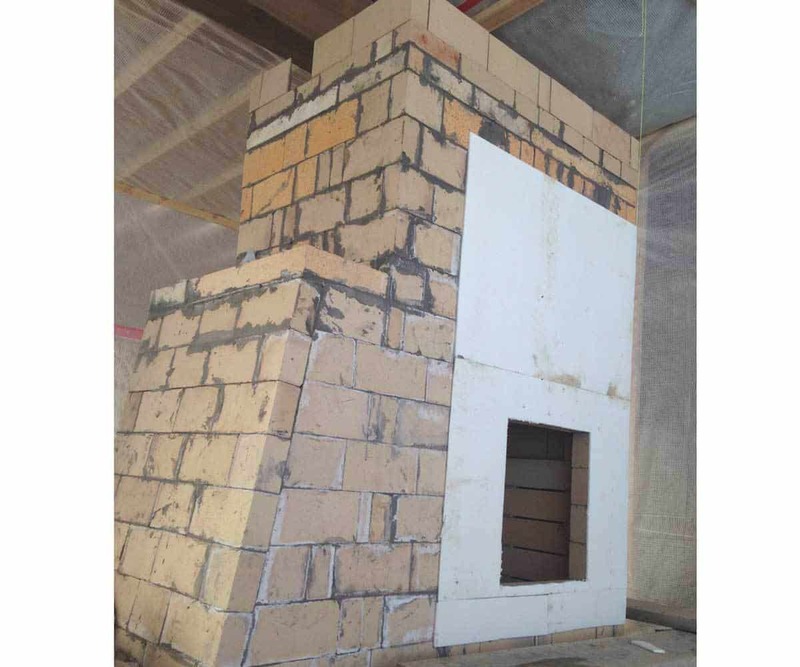 The use of a masonry heater is very simple and safe relative to other woodstove technology. You fill the firebox with cordwood once or twice a day, light it, shut the door, and enjoy. Fires in a masonry heater are much brighter and more vigorous than those in a fireplace, and so if you are lighting the stove in the evening it’s a tremendous show. If you have a busy lifestyle, you’ll enjoy the ability to heat your house all day without being there to tend to a stove. Youe only job after lighting is to close a “damper” towards the end of the burn, which keeps the stove from losing heat. New technology in automatic, timed dampers is available which mean you could potentially light your stove and leave for work right away! Masonry heaters are usually built on site by a specialized mason. 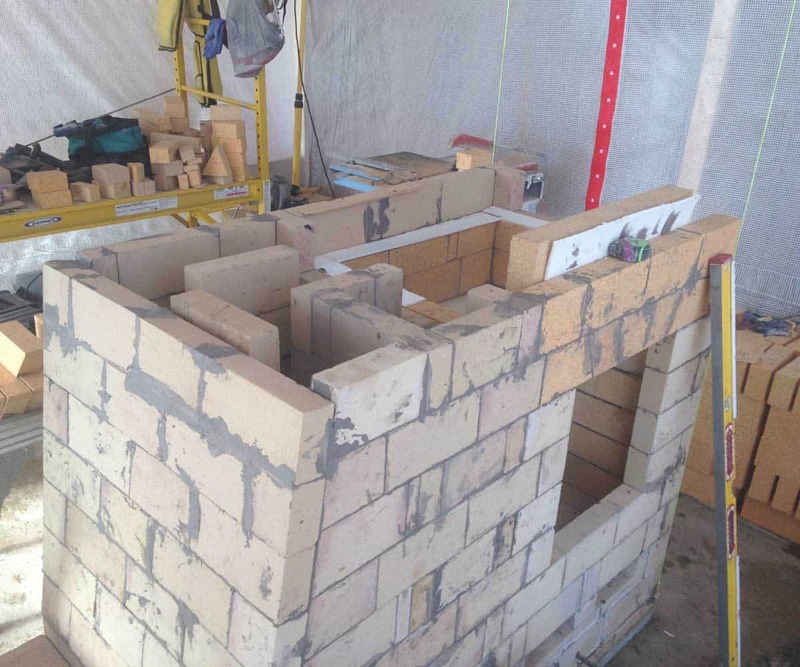 The innermost parts of the stove are built with “firebricks,” bricks made to withstand the heat and chemical attack of repeated firing. 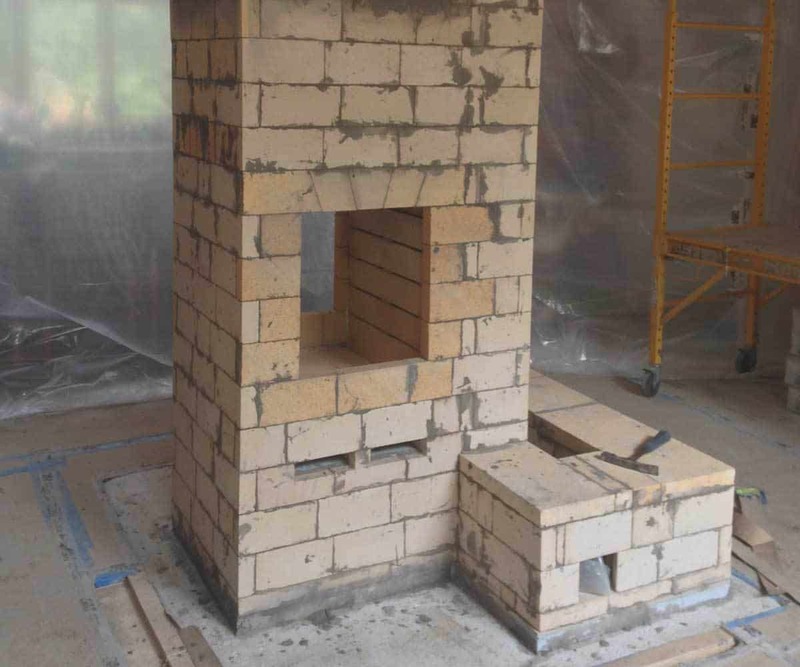 The outermost part of the stove can be built with common brick, stone, tiles, or softer earthen materials like adobe. The stove can also be plastered to a smooth finish. Virtually any aesthetic can be achieved, from rustic to modern. Care is taken, and special techniques used, to ensure that the stove surface does not crack (hairline fissures that open and close with the stove’s expansion are common but have no effect on the stove’s safety or function). and that gases cannot leak into the house. 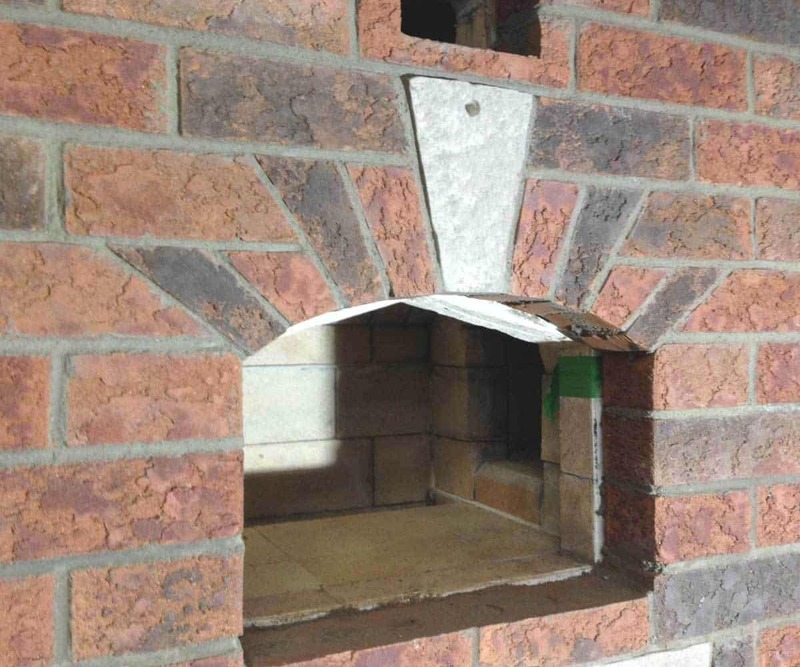 A custom masonry heater can include an oven for baking, a cooktop for cooking, and/or a bench or platform for sitting or lying down. The finished look of the stove is largely a matter of aesthetic preference and can be customized to fit the home and the client’s wishes. It can occupy a small footprint and be very tall, or it can have a large footprint and a lower profile. Most masonry heaters have a door with glass for viewing the beauty of a rigorous fire, but simpler, solid doors can also be used. 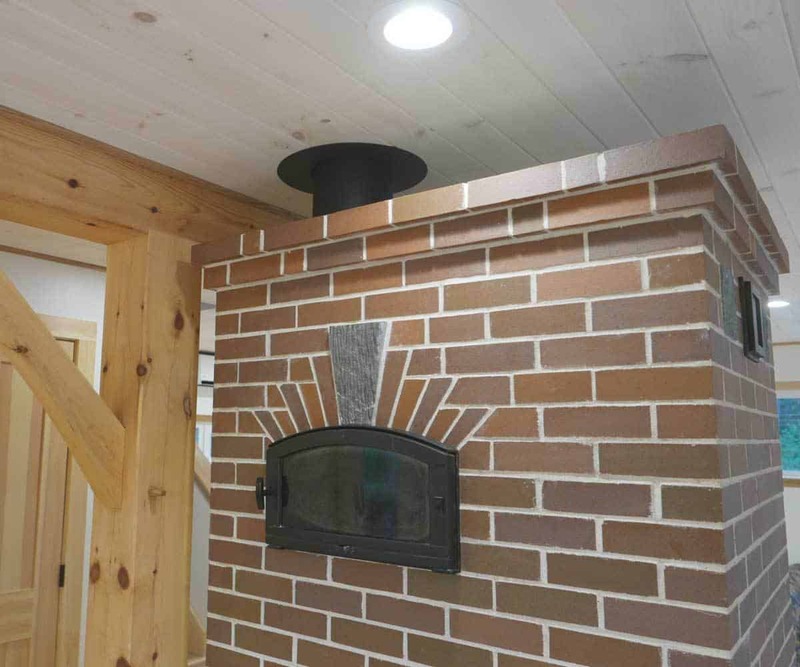 In a world of mass-produced appliances, masonry heaters offer the homeowner a rare combination of personalized, hand-crafted beauty and time-tested functionality that will provide warmth for generations. To explore further, contact me. Also see the amazing custom work at Homestead Heat, with whom I frequently collaborate. Check out masonry heaters from around the world at the website of the Masonry Heater Association.